Thanks for making Gotham City safe. 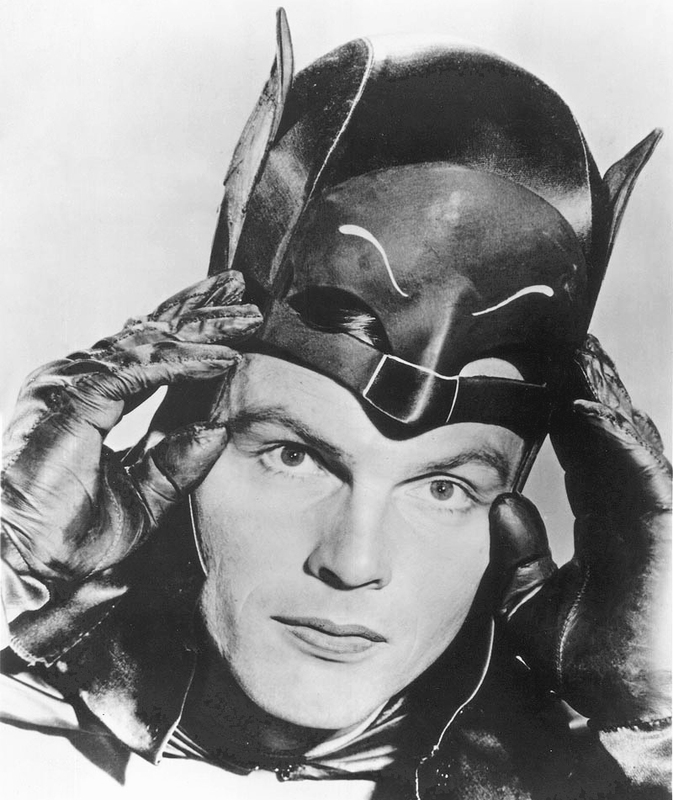 I’m very sad today on learning of the death of my hero, Adam West, at age 88 in Los Angeles. Adam hooked me from the moment I first laid eyes on him. In my duties as an entertainment reporter, I hung out with Adam a few times, notably in Atlantic City and Manhattan (when I spent an entire day with him while he promoted his memoir, “Back to the Batcave”). I interviewed him five or six times — every chance I got, basically — the last time being in 2010. To remember Adam, following are some highlights from our final conversation, which, you’ll notice, now and then became something like a comedy routine. A: Lousy. I’m campy and lumpy. A: Did you see the story in the New York Post? That guy — he’s envious. Q: Who are we talking about? A: He’s a political reporter for the Post (Brendan Scott, who referred to West’s physique as “lumpy”). He’s used to doing character assassinations of politicians, and he turned it on me. Q: Why did the Post attack you? A: For my endorsement of Sean Coffey for attorney general of New York. (West taped a phone message for Coffey’s campaign.) But I got a tremendous response to my endorsement. The New York Times wrote about me, too, and gave me high marks. Q: Congratulations. You recently played yourself on “30 Rock.” How was the experience? A: I would call it a quiet experience. They made me climb a lot of stairs and wait around a lot. But that’s okay. That’s what happens at this stage of your career. But I couldn’t really play myself. They wanted me to play Bruce Wayne as myself. Q: Did you get any face time with Alec Baldwin? A: I did. Alec Baldwin — the vibes were right on. He and I really communicated. He was extremely cordial and professional. He did everything he could to make me feel at ease. He was very respectful. A: I was a little bit nervous around Jay Leno, to tell you the truth. I mean, Jay is a stand-up comic. I don’t know how I would fit in, if I were on the couch. I would do my best, of course. But to do it this way (as a quiz-show skit) with Nic Cage, who’s a fan, was kind of fun to play. Q: Cage famously does an imitation of you throughout “Kickass.” Have you seen it? A: I saw him — I should say — (whispers) try to imitate me as Batman. Q: Do you consider it a compliment? A: Of course it is. As I said, he’s a fan. We’re talking about doing a movie together. But that could just be show-biz talk. And he’s got his own problems right now. Q: You just filmed a commercial for Butterfinger. Do you eat Butterfingers? A: I’m not going to lie. I only collect them. I’m not allowed to eat chocolate. At this age, it might make me lumpy. Q: Did you see Lady Gaga’s meat dress at the MTV awards? A: Yes, and I immediately became a vegetarian. Q: Do you know who Snooki and “the Situation” are? Q: Have you ever had a stalker? A: Yes, but it was someone who thought that I’d done something naughty with his wife. Q: That couldn’t have happened, could it? A: Well, I think he was intentionally misinformed in an effort to make him come home earlier. Q: What item are you most often asked to autograph? A: Photographs, but it can be anything from brassieres to lunchboxes. Q: What question are you most asked by journalists? A: Usually, “What is your favorite memory of ‘Batman’?” or “How do you like the new movies?” I say, “Well, they’re wonderful in their own way and for the time.” Today, you have the Dark Knight. I’m the Bright Knight. Get it? Q: What is your response to JLo becoming an “Idol” judge for $12 million? A: I didn’t know it was that much. I was just offered $20 million to do a new “Batman” movie. Q: Was there one moment when you knew that you had become irreversibly famous? A: It was when I got home from the studio on the night “Batman” was scheduled to go on the air. I stopped at a market in Malibu, where I lived at the time, to grab a steak and a six-pack of beer for dinner. I was in a hurry and overworked. And I heard, at the checkout, “Come on! Hurry up! We’ve gotta get home to watch ‘Batman’! Faster!” And I thought, uh-oh, this could be the start of something. Q: Your “Funny or Die” video made a viral splash. The humor is self-deprecating, as a lot of your appearances are. A: Well, I never take myself that seriously. I know what I do. What the hell — I can’t be pretentious about it. Q: What is it about you that you attract this type of material? A: You find yourself getting roles — they want you to be Adam West or Batman or the mayor of Quahog. I just draw on the quirkier aspects of my personality. We all have those quirky things about us. Don’t you? Q: Please. What is your most cherished career souvenir? A: That’s an interesting question. What are you fishing for? Q: Say, a script? Or Tina Fey’s bra? A: That’s it — Tina Fey’s bra. And Dawn Wells’ mug shot (laughs). I’ll tell you what it is — 120, the full complement, of our scripts (from “Batman”) with all of my markings. And just enough age on them to be like fine wine. I also treasure the reaction people have to me wherever I go. Anyone would prize that. People are warm and funny and loving. I’ve had 40 years of this nonsense. People are wonderful to me. They trust me. Q: What did you think of Heath Ledger getting the Oscar for playing the Joker? A: I thought it was a fine portrayal in the way that he did it, for that time, for that kind of picture. He called on everything from Kiss to punk rock to aging Hollywood starlets who can’t apply their makeup properly. That’s what I would have done. 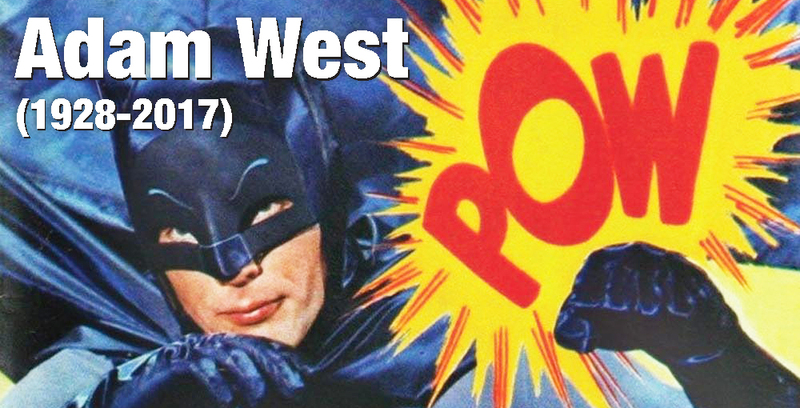 That was an Adam West thing to do. A: They don’t usually say that, and I’ll tell you why. Their parents are always with them, and I think their parents talk to them about it and prepare them for it. But once (children) hear my voice, they know it’s me. It’s amazing how kids can pick up those sound waves. So be careful around your kids — they’re listening.